Keeping the Best and Releasing the Rest is one way we are different than others. We believe strongly in preserving our fishery so future generations can enjoy it. 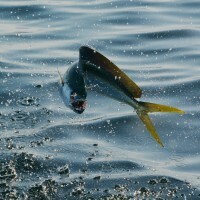 Would you believe most of our guests choose catch and release fishing or only want to keep a few for dinner? Our guest are like you. They are responsible, accountable and understand the importance of only taking what they need instead of what they can. 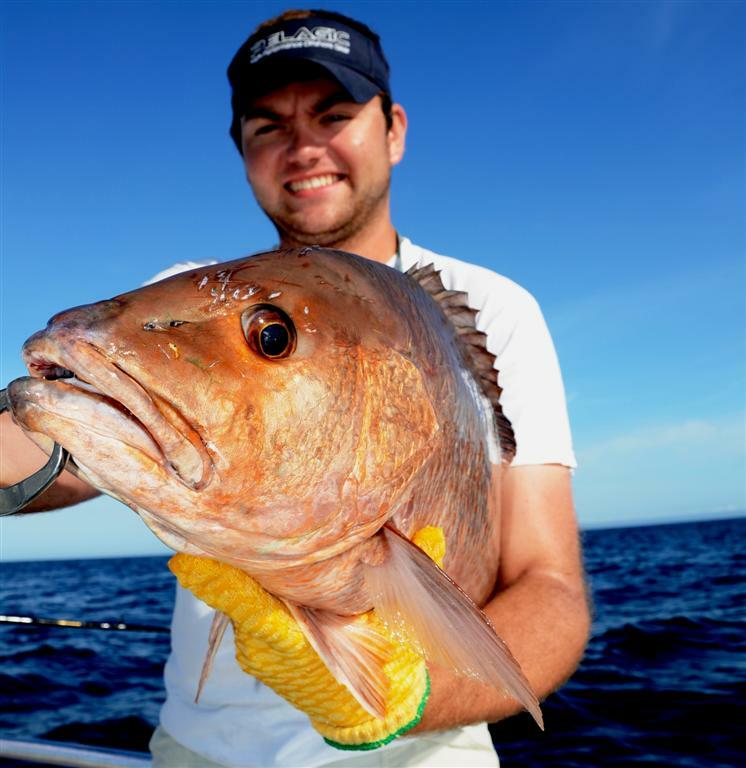 With us, we take you to experience catching and releasing bigger fish. 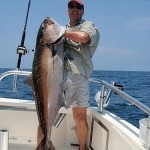 We were the first offshore and deep sea charter boat that started catch and release in the Gulf of Mexico. We pioneered fishing high in the water so the released fish would have a better chance of surviving unharmed. We use gentle circle hooks that 99% of the time, curl up perfectly in the corner of the bony structure of a fish’s mouth, which doesn’t harm the fish. These hooks set themselves and the fish rarely ever swallow one. We do all we can to get your fish back in the water quickly, but I love photography and if you catch something special, I might take an extra few seconds to take a few pics before releasing. For those fish that need a little help getting back down, we let you participate and use our fish descender to return them to the depth they were caught and where the atmospheric pressure stabilizes them. We have a 99% survival rate of released fish when we use fish descenders such as the seaqualizer. When you choose us, families get a chance to break away from the norm and head a different direction than most other boats. You get to target bigger fish that give you a better fight and and can be caught with more consistency if you choose catch and release. Our guests that choose to participate in catch and release are actually helping future generations of anglers by leaving their fish in the water. By doing so, gives the fish a chance to grow larger and reproduce. 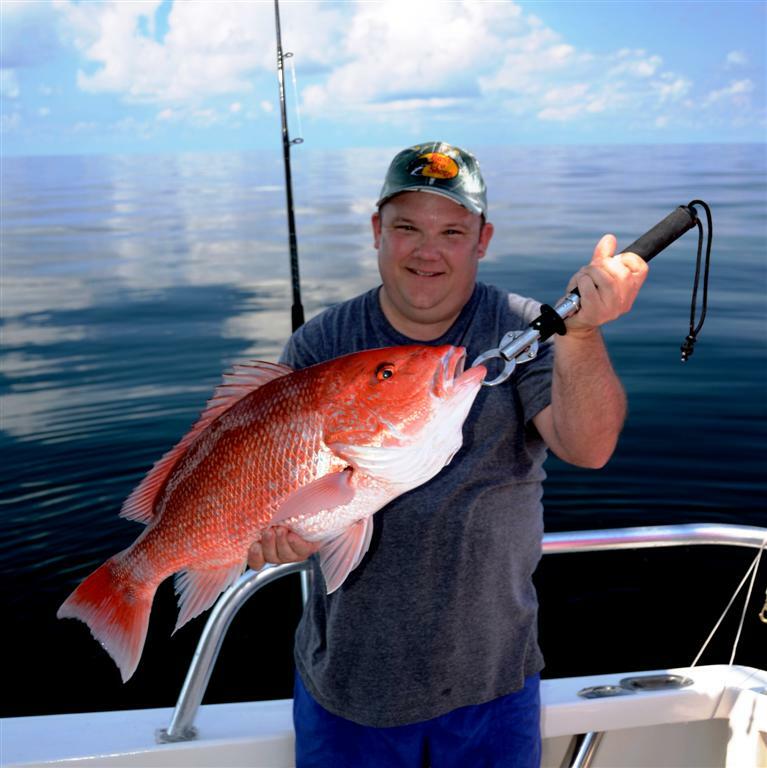 Did you know that red snapper live 57 years and that a single 24 inch fish produces as many offspring as 212 – 16 inch fish do? 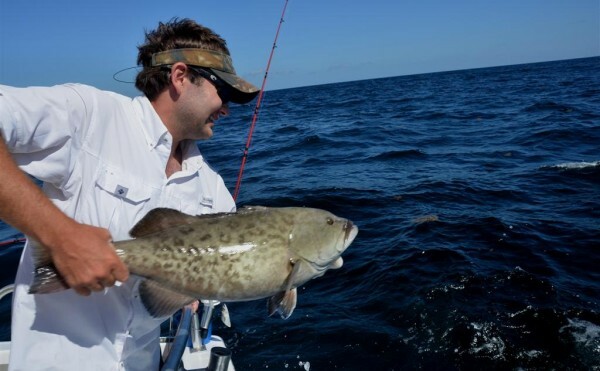 With the current fishing regulations, small bag limits and short seasons implemented by the fishery managers in order to end over fishing of our resources, it is becoming increasingly harder to find big fish to catch that are in season within 40 miles of shore. The BP oil spill has further complicated the issue and it may take decades to fully understand the long term effects of what all those chemicals did to our fish larvae or recruitment of small fish entering the ecosystem each year. Also, in the next 15 years, as many as 75% of our nations population will be living in or near coastal communities. This in itself is going to present a whole new set of challenges for fishery managers who are trying to maintain balance between sustainability and harvesting the right amount of fish each year. As more people move toward our coastline each year, fishing pressure is going to continue to increase and unless we do something to control effort or begin taking only what we need, the resources are going to be in trouble. It is up to all of us to ensure that future generations have plentiful resources to enjoy. 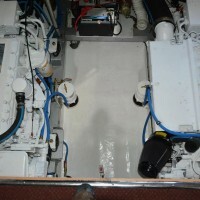 As long as fuel prices remain high, all boats are going to stay close to shore and keep pressuring the fish. This is evident because for the past six years, we find ourselves having to go farther offshore in search of quality fish. Contrary to some people who believe we have an endless supply of fish, we actually don’t. I am on the water more days than any scientist and most other charter boats and I know first hand that we don’t have near as much as everyone thinks. This is proven by watching everyone’s catches as they return to dock. Over the past 30 years, we saw an entire fishery wiped out, start recovering and growing due to having an abundance of artificial reefs, get fished out and then start recovering again. If we are not careful and do what is right for the fishery and take only what we need, future generations of anglers will not be able to enjoy what we have today. 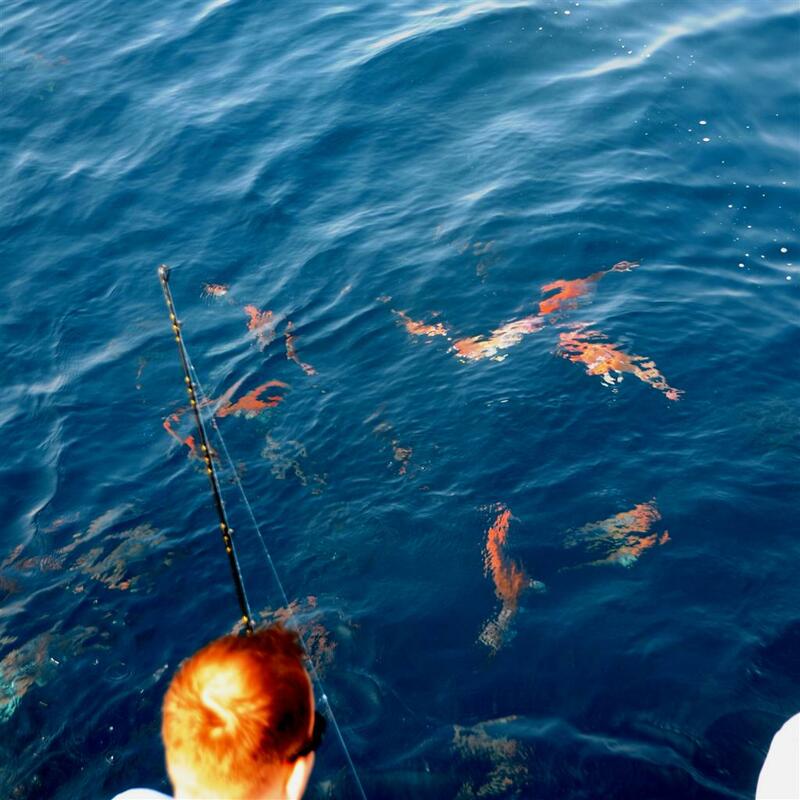 Catching a big Red Snapper high in the water is fun, even if you decide to let it go. These fish average about 5 pounds but we have caught them close to 40 pounds before. Since this photo was taken, the average weight per fish has dropped to about 3 pounds, which is a pretty good indicator that over fishing is still occurring by those who like to catch and keep all their fish and because of population increase. These red snapper are caught on 6 hour trips and offer a great light tackle opportunity for those who don’t mind releasing their catch. 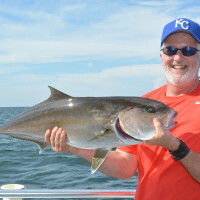 By choosing one of our 6 hour charters, you get an opportunity to catch fish like King Mackerel, Spanish Mackerel, Bonito, Jack Crevalle, Red Snapper, Triggerfish, Grouper and Amberjack. If they are in season, you are welcome to keep a few for dinner. But if you have no plans on eating them, we can safely let them go so they can be caught another day. Catch and Release is easy when you can see them swimming on top of the water. Changing the way I looked at fishing and the way I fish gives you more opportunity to catch big fish. With seasons and bag limits constantly getting shorter due to an increase in fishing pressure and coastal population expansion, I took the opportunity to change the way I fished in 2005 and began offering catch and release and my customers love it. We now fish high in the water column, instead of always going to the bottom fishing like we used too. Sure, some species we do fish on the bottom, but when we are doing catch and release, we try to fish no deeper than 50 feet of the surface. 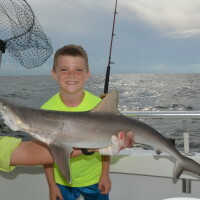 As a result of the way we fish, we are known as the first offshore fishing charter become part of the Next Generation of Fishing Guides who promote the experience of saltwater fishing. Becoming accountable and responsible for our fishery and offering our customers this option has been a huge success. 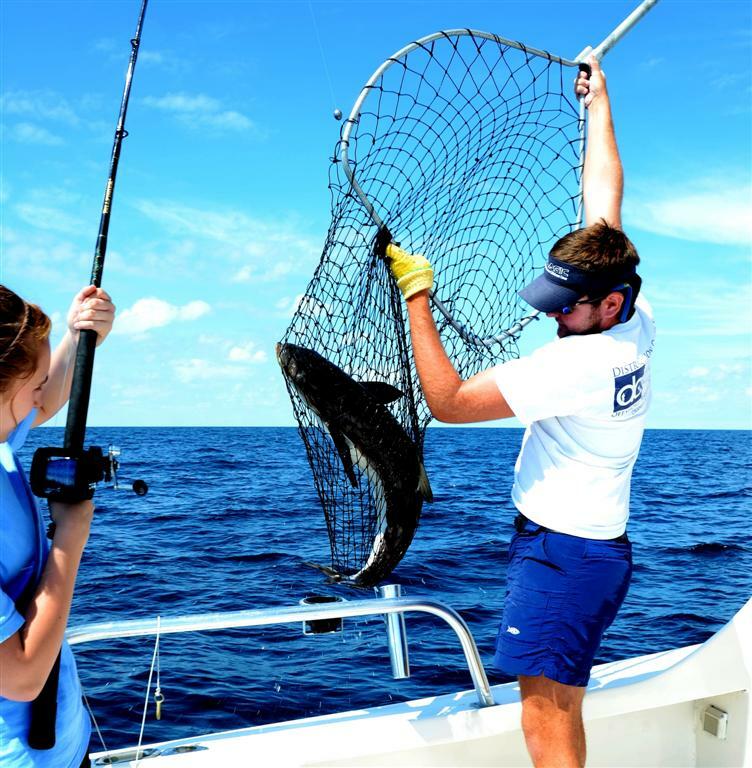 Before we came along and began offering catch and release, customers did not have an option when it came to charter fishing. If you caught it, you were expected to keep it around here. That is because captains and deckhands depended on the fish cleaning money to live on and the captains depended on bringing a cart full of fish back to the dock so he could sell tomorrow’s trip. The sad thing is, I caught too many fish when I first started, but at the time, I didn’t know any better. I wast trying to act like other captains who were running trips every day and I was still growing my business and was often tied to the dock hoping for a trip. That was because I was told by marina managers, you have to catch fish in order to make it in this business and stay on rotation at “our” marina. I am kind of embarrassed about how we used to harvest everything we caught, but I am sure glad God gave me the ability to see things differently and used me to help change charter fishing to what it is becoming today. Being gentle with fish you plan on releasing is the only way we do it.